The April edition of our monthly newsletter - The IFO News Stand. 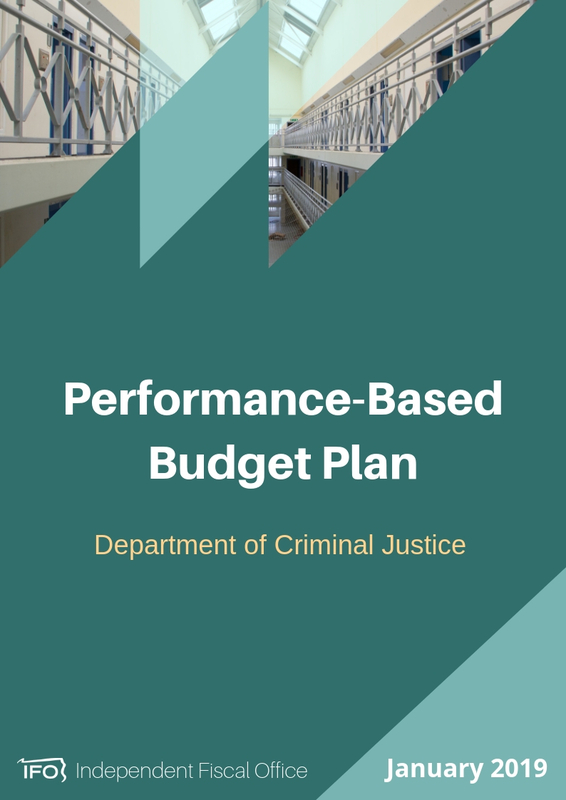 The new release highlights links to recent articles and reports that provide insight into state or national economic, demographic, budget and tax revenue trends. This report contains the IFO's forecasted school district property tax collections from FY 2017-18 through FY 2023-24. The report also contains projections of the Act 1 index and estimates of school district property taxes that can be attributed to homesteads. 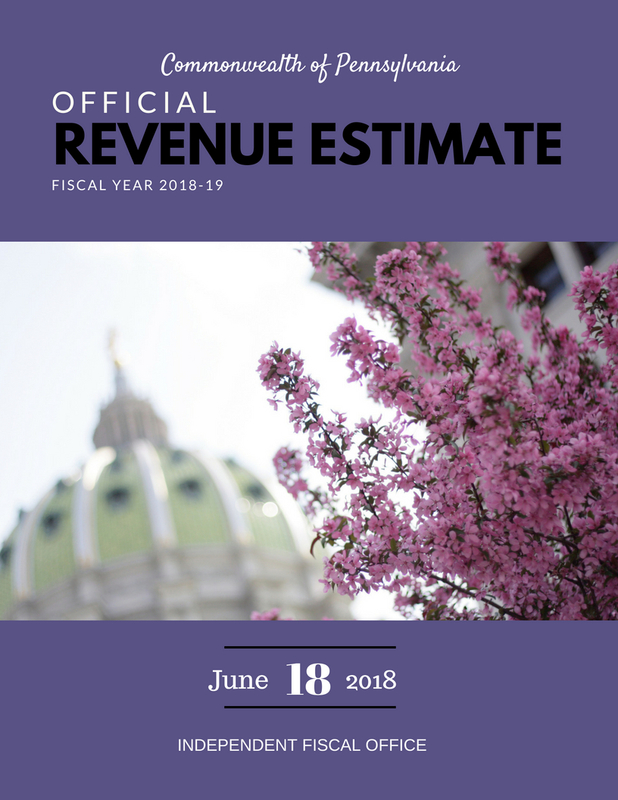 Total school property tax collections for FY 2017-18 ($14.5 billion) and FY 2018-19 ($14.9 billion) are estimated using millage rates published by the Pennsylvania Department of Education and property tax assessment data. 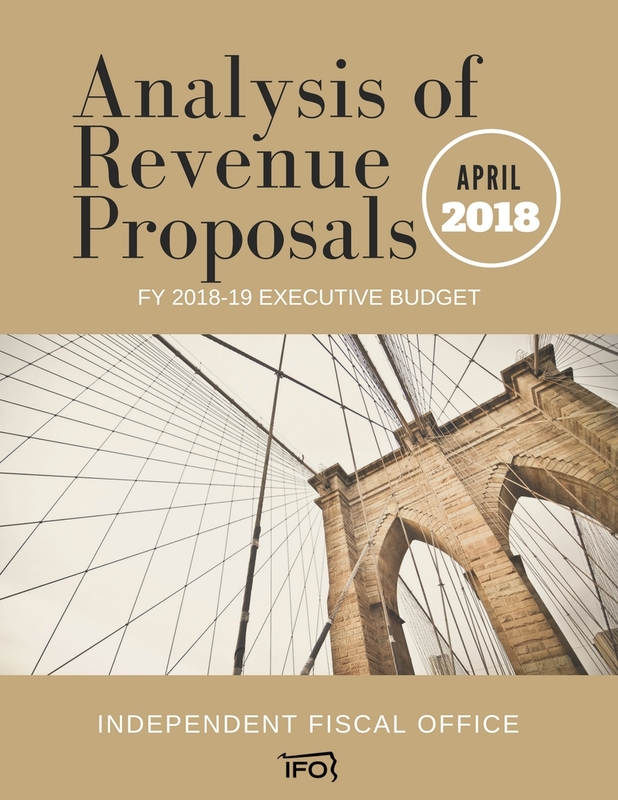 For FY 2019-20 through FY 2023-24, collections are projected based on the statutory, economic and structural factors that affect growth rates of property taxes. During that period, total school property tax collections are projected to grow by an average annual rate of 3.2 percent, reaching $17.3 billion by FY 2023-24. This report for the fourth quarter of 2018 uses data collected by the PA Department of Environmental Protection to develop statewide and county-level tabulations of production volume and well counts. The Commonwealth collected $2.89 billion in General Fund revenues for January, a decrease of $252 million (-8.0%) compared to January 2018. Fiscal year-to-date revenues are $18.2 billion, an increase of $0.79 billion (4.5%) from the prior year. This research brief uses recent data published by the Department of Environmental Protection to project CY 2018 Impact Fee collections. Click on the hyperlink above to access the three tax credit reviews and presentation. The Commonwealth collected $2.91 billion in General Fund revenues for December, an increase of $89 million (3.1%) compared to December 2017. Fiscal year-to-date revenues are $15.3 billion, an increase of $1.04 billion (7.3%) from the prior year. The December edition of our monthly newsletter - The IFO News Stand. The new release highlights links to recent articles and reports that provide insight into state or national economic, demographic, budget and tax revenue trends. This report for the third quarter of 2018 uses data collected by the PA Department of Environmental Protection to develop statewide and county-level tabulations of production volume and well counts. This report uses the most recent data from the U.S. Census Bureau and U.S. Bureau of Economic Analysis to facilitate a comparison of state and local tax systems across the fifty states. The report examines (1) the relative state and local tax burden across states, (2) the distribution of state and local taxes across revenue sources (e.g., income, sales and property), (3) state tax rates and (4) state debt levels. Director Matthew Knittel gave a presentation to the County Commissioners Association of Pennsylvania that reviews highlights from the IFO's recent Economic and Budget Outlook.